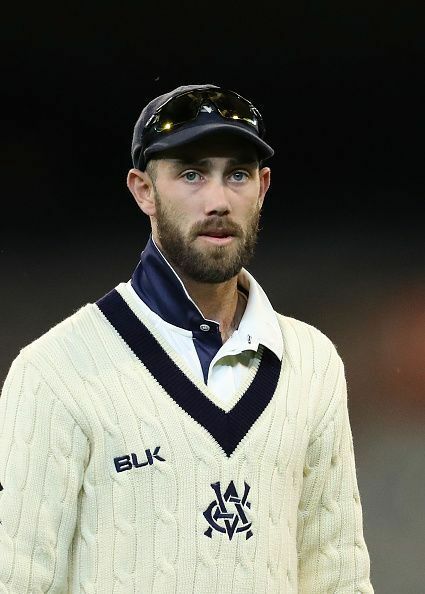 Glenn James Maxwell is an Australian cricketer, who plays in all the formats for the Australian cricket team. He was born on 14th October 1988 in Kew, Melbourne, Australia. Maxwell is a right handed middle order batsman and is also used for bowling right arm off breaks. He began his cricketing career as a pace bowler, before remodeling his run-up and becoming an off-break bowler. He has a tendency to play extravagant shots especially a wide array and variations of sweep shots. He is known for his aggressive batting and holds the record of fastest ever half-century in Australian domestic one day cricket scoring 50 runs off 19 balls. Maxwell started playing cricket for South Belgrave CC. In 2009, Maxwell joined the Victorian squad but was then called into the FDR squad in November as a replacement of Andrew McDonald. His match winning score of 51 runs off 19 balls for Victoria in a Ryobi Cup game against Tasmania is the fastest half century in Australian domestic one-day history. With his incredible performance at domestic level, he received attention by selectors and was eventually selected for Australian cricket team later. Maxwell made his international debut for Australia against Afghanistan in an ODI match in the United Arab Emirates in 2012. He scored 28 runs in in the match. In March 2013, he made his Test debut against India in the second Test at Hyderabad as the second spinner in the team. Maxwell managed to score just 13 and 8 runs in the first and second innings respectively, but took 4 wickets and gave 127 runs with the ball. Maxwell was signed by Delhi Daredevils in the 2012 Indian Premier League as a replacement player. At the 2013 IPL auctions, Maxwell was the most expensive player as Mumbai Indians bought him for Rs 5.3 crore. In 2014, he was purchased by Kings XI Punjab. He also represented Melbourne Renegades in the Big Bash League. The other clubs Maxwell represented are Hampshire, Melbourne Stars, Surrey, and Yorkshire. Maxwell became the second Australian to register centuries in all three formats by which he has joined an elite club of only 13 other cricketers that have scored a century in all three formats of the game.